"Here we have a First Amendment problem [the NSA and DHS] have created by heavy-handed actions in response to criticism," Levy said to the Washington Examiner. "We don't know what other threats these agencies have sent out in response to parodies. … These agencies need to be brought in line to respect these people's free speech rights." 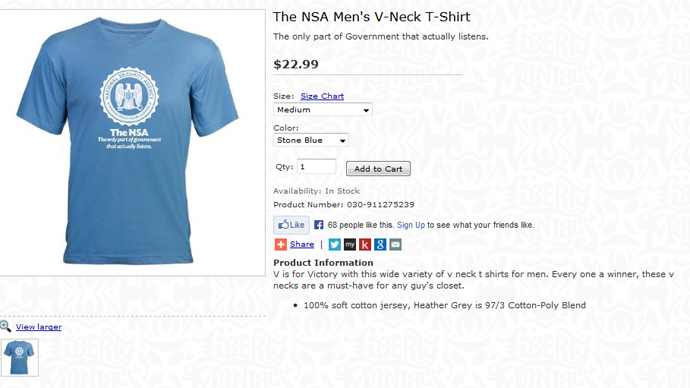 RW - The cease-and-desist actions by the NSA and DHS proves the point. Federal stupidity - the only the USG can be counted on.